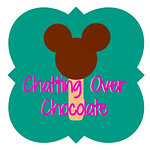 Chatting Over Chocolate: Check Out My Guest Post Today at Sweet Turtle Soup! 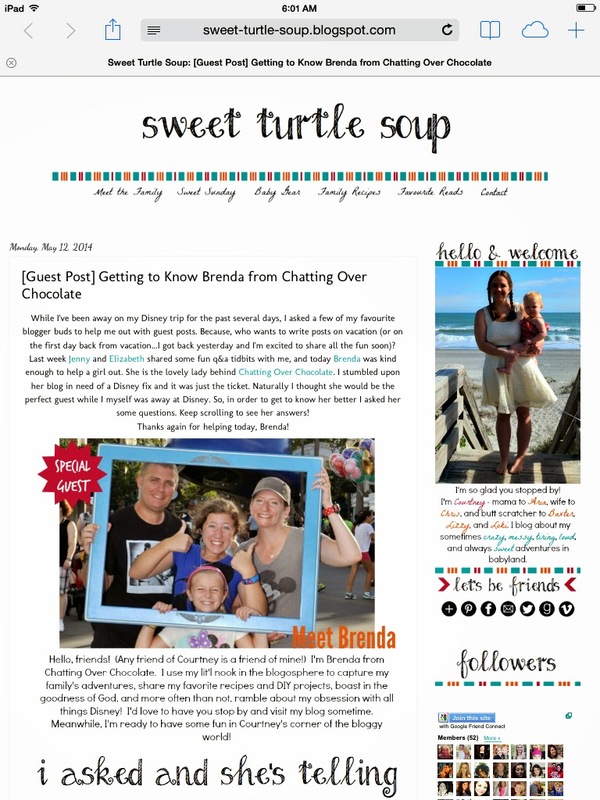 Check Out My Guest Post Today at Sweet Turtle Soup! I'd love it if you'd head over there, get to know me a lit'l better, and take a peek around my friend Courtney's blog too! She's a fellow Disney fan(atic), in fact that's why she invited me over today. Her precious family has been spending some quality time with Mickey Mouse at my favorite place on earth, Walt Disney World! I can hardly wait to hear all about her trip! Meanwhile, it's time for some Q&A fun! Have a fabulous start to your week! Thanks for sending people over to take a look! We are back with blisters and a cranky baby, ha. Disney with a little one is no joke, wow! Can't wait to go back, but I'm pretty glad we can do the one day trips because Aria was so good on day 1. Then lack of sleep and heat and super short naps chipped away at everybody's peace! Yesterday was definitely testy. I'm excited to figure out how I want to share our trip, and dive in to my mountain of pictures though! Awww, wow! You mentioned me on her post! Made me smile big after a long, bad day. Thanks, girlie! Great post on Courtney's blog! Love your blog title too!! Following along! !